Arid agriculture is a platform to learn and promote agricultural sciences as a career and vegetable gardening at home. From agricultural perspective, the intrinsic reason of this blog is to help the undergraduates, graduates, job seekers and those who are connected to this field directly and indirectly to have a readily available and up to date information and knowledge related to all branches of agriculture. This blog also focus on cropping and management strategies for arid land farming. From vegetable gardening perspective, this blog guides the beginners, amateurs and professionals with the art of growing their own vegetables at home gardens, backyards gardens and terraces gardening. Broad topics covered in the blog are ‘how to grow’ questions, garden management from sowing to harvesting, pest and disease control etc. More details and reasons for selecting the niche of farming and veggie gardening for this blog are presented below. I hope your stay at my blog will be a session of learning, interactive communication and fun experience. A decline in the land fit to sustain farming. Expected 9 billion population by 2050. Today, cropping is not seen only from the lens of farming but has acquired new dimensions, based on the points mentioned earlier, through which it can affect several factors such as the economy, lifestyle, livelihoods of people, food security etc. However, another factor, perhaps the most important of these is the national security angle. A nation that is self-sustained from food availability domain is far more secure than a food insecure nation. It’s a well established truth globally that God forbid the next world war will occur on the water issue. Growing food consumes a lot of water, especially in the third world nations, that lack technological advancement and knowledge to conserve water and increase its usage efficiency. In addition to this, majority land mass where cropping practices occur is arid in nature, where limited water availability is a problem. Similarly, as a career, agriculture is not glorified like other professions such as medical, engineering, electrical etc. In some sense, cropping sector faces shortage of top notch brains to understand and cater the requirement of this sector on its merits. With the growing demand of food due to population explosion, the future of this sector is bright. 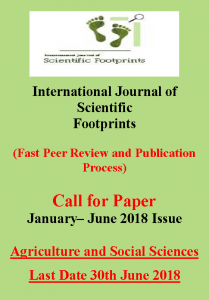 Keeping all this aspect in view, i am going to write articles on various fields of agricultural sciences covering topics for example food security, climate change, food technology, innovative farm management and allied practices, soil and water management, crop protection, agricultural economics, agricultural extension, horticulture etc. Though, I don’t claim that I am an expert, but I will try to address the latest challenges and issues in the light of latest body of knowledge available globally. Each blog post is open for your comments for constructive criticism and suggestions. I also welcome experts from different fields of farming to share latest advancements, knowledge and Submit their Articles to help the farming community, students, and extension workers to achieve better outcomes in their respective fields. It is time now to look at farming sector from a new dimension. 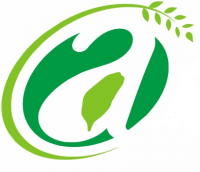 Another advantage of this blog is to guide fresh entrants in agricultural studies. A separate section has been developed for question and answer in Help Desk tab. I hope these questions to be addressed by the top notches of agricultural sciences from all over the world. The second part of this blog is aimed at promoting and guiding vegetable gardening lovers especially in urban dwellings to have seasonal and off-seasonal homegrown fresh and organic meals at their table round the clock at any time of the year. Vegetable gardening can be done for oneself or commercially depending on the space available. Vegetables grown in home garden require the limited water supply and importantly, this supply can be controlled easily. Growing vegetables at home is an important and renewed hobby, practiced globally especially in the western world such as United States of America, Canada, Europe, etc. There is also a growing trend of homegrown vegetables in many populated countries like Indian, Pakistan, China etc. Everybody wants fresh and organic meals. In the world of today, where urbanization is expanding exponentially, vegetable gardening is an innovative way of having own garden ornamented with colorful veggies. To add more color and fun, small fruit trees and new hybrid fruits varieties that can be grown in pots and containers can also be grown. Though, there is an issue of space in the cities to grow veggies and fruits, however the attraction in home grown vegetables is that it can be customized in any way one want. It can be practiced in a small plot of soil next to your kitchen door, or having containers to grow your own organic and fresh vegetables. Vegetable gardening has also touched new heights of innovation like balcony gardening, terrace gardening and pot gardening, so that you can utilize every inch of space available to you for growing veggies and fruits in a decorative manner. So from growing vegetables at home perspective, this blog provides information, guidance and knowledge on different aspect of vegetable farming at home. From my own experience, queries like ‘how to grow’ ‘how to manage’ ‘disease and pest control’ ‘vegetable grown ideas’ etc. are the frequent questions that keep pondering in mind of a beginner and amateur. Even for a professional, a hunt to seek knowledge to grow unique vegetables or to grow off-season vegetable is always there. I will try my best to answer these queries through my articles especially the question of ‘how to grow’ different kind of vegetables will be on top in my priority list. Hope you find the articles here informational and innovative. If you have any suggestion or want me to write on a specific topic, feel free to knock me at arahman@aridagriculture.com or using contact me form available here.